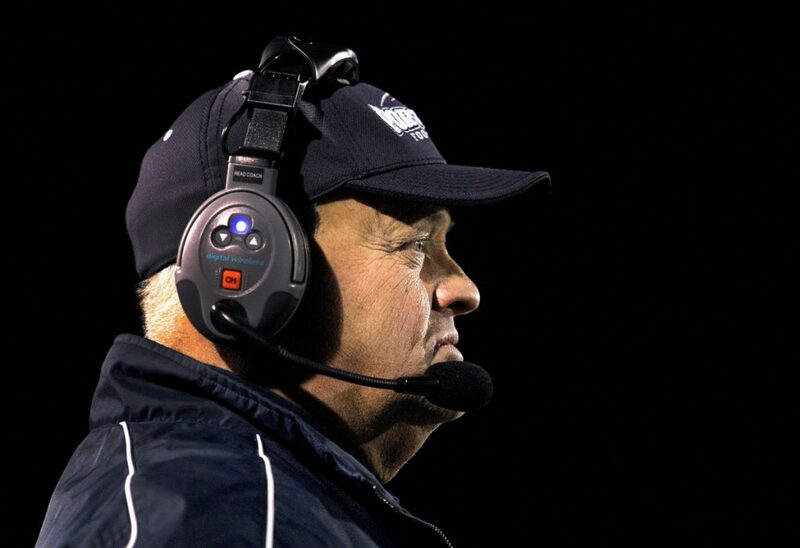 Less than two months after stepping down as Portland High’s football coach, Jim Hartman has been hired to lead Yarmouth’s program, which has committed to playing eight-man football next fall. Hartman started coaching at Yarmouth in 2004, when it was a club team for three seasons before becoming a varsity sport in 2007. In his final two seasons, Yarmouth went 24-0 and won back-to-back Class C state titles in 2010 and 2011. Hartman, a Portland resident, took over at Portland in 2012. At Yarmouth, he will again be asked to build a program. The Clippers were 3-5 last year in the regular season before losing to Fryeburg Academy in the first round of the Class C South playoffs. Only 19 players are expected to return, and the youth program has shrunk since Hartman’s departure. Hartman does have experience coaching eight-man football. Hartman said the chance to build – or in this case rebuild – a program is appealing. “One of the things we couldn’t do at Portland was build. It was very difficult, and we can do that at Yarmouth,” he said. Hartman said it took him less than a month to realize he wasn’t done coaching after resigning his post at Portland. “Portland was great, the parents are great, the kids are great, but Yarmouth was kind of special for me,” he said.